strong, honest voice to the modern female perspective. 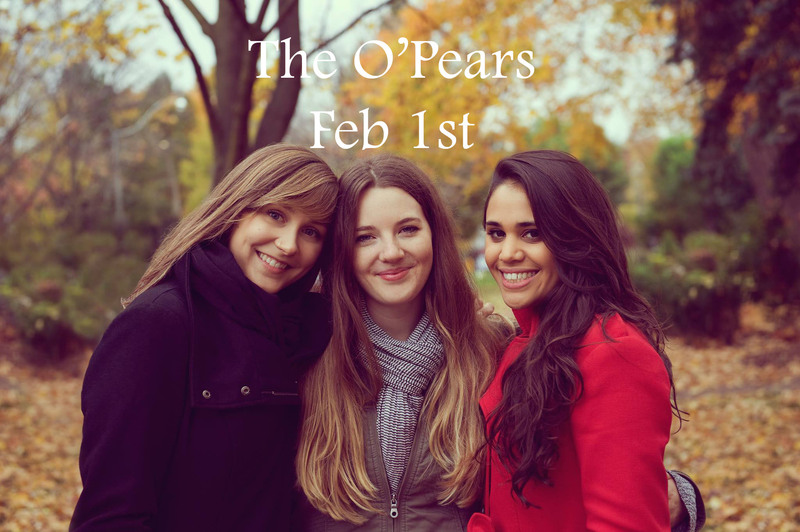 The O’Pears are a contemporary trio who weave stories that stir the spirit and capture the timelesscharacter of folk music, with their endearing, unabashed personalities balancing the intimate sincerity ofthe songs. They’ve performed to high acclaim at Summerfolk, the Great Heart Festival, the LunenburgFolk Harbour Festival, garnered radio play across Canada, including CBC, and have been featured livewith Royal Wood, Good Lovelies, Michelle Willis, and Coco Love Alcorn. The O’Pears continue to bring astrong, honest voice to the modern female perspective.